Odisha, which was formerly known as Orissa, is a land of breathtaking landscapes, magnificent temples and lakes. Some of the most famous temples such as the Sun Temple at Konark and Jagannath Temple at Puri are found at Odisha. 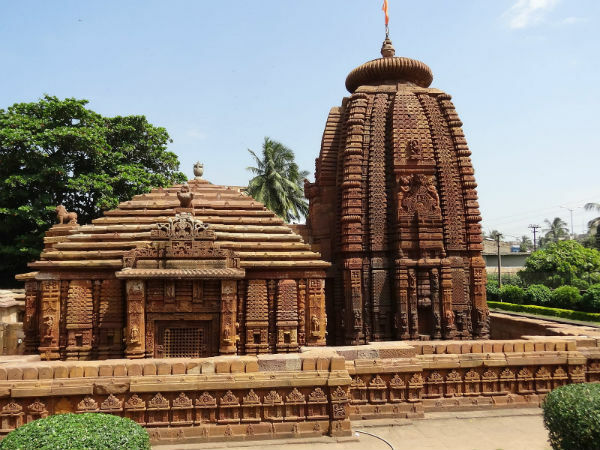 While we all are familiar with these places, how much do we know about the Mukteshwar Temple at Bhubaneswar? Located in the capital city Bhubaneswar, the Mukteshwar temple is a brilliant structure, which is dedicated to Lord Shiva. Well-known as the "Gem Of Odisha Architecture", the Mukteshwar Temple is a regal monument that dates back to the 10th century BC. It is a prime tourist attraction that comes under the Protected Monuments of India. The Mukteshwar Temple is the finest example of a perfect blend between sculpting and architecture. Several shrines or lingas of Lord Shiva can be found in the temple. Various sculptures of ascetics forming different meditating poses can be found all around the temple. It is speculated that the temple was built by Yayati I, the king of Somavamshi Dynasty. The west-facing structure of this temple reflects a change in the initial and later phase of Kalinga style of architecture, which was the main style used in many temples built in Odisha during the time. The torana or the elaborately decorated arch is the main feature of this temple. It reflects heavy influences from Buddhist architecture. The archway or torana has exquisite carvings of ornaments, beautiful women and other such intricate designs. The temple is about 35 ft in height, and the structure is not colossal, in fact it is quite regular in shape. But what makes this temple fantastic is the plethora of sculptures, unparalleled detailed architecture of the whole premise. The windows of the temple are diamond-shaped and have latticed designs. Beside these windows, sculptures of numerous monkeys performing humorous acts can be found; these represent characters from the famous tales of Panchatantra. The pyramidal roof of the temple's Jagamohana or the assembly hall, is first of its kind. Everything about the temple, that is its sanctum, the temple plan, the porch, reflect top-class architectural brilliance. The Mukteshwar Dance Festival is a surreal and boisterous 3-day celebration that takes places in the temple every year. Taking place in the month of January or February, this festival is celebrated with mostly Odissi form of dance performances by locals and famous artists. It is usually coupled with a number of musical performances as well. The winter months of October to February are the best time to visit Bhubaneswar in general, and also since the Mukteshwar dance festival takes place during this time. Summer in Bhubaneswar usually has uncomfortable and scorching heat. The temple is open from 7 am to 7 pm on all days of the week. By Air: Biju Patnaik International Airport, commonly known as the Bhubaneswar Airport is the closest airbase. It is located just 3 km from the temple. It is well-connected to major cities of India such as Bangalore, Kolkata, New Delhi, etc. By Rail: Bhubaneswar has five railway stations, of which Bhubaneswar Railway Station is the closest to the temple. It is connected to many cities such as Kharagpur, Guwahati, Howrah, etc. By Road: Bhubaneswar is well-connected by road to all the neighbouring states such as Jharkhand, Chattisgarh, etc. Buses are available to all these places via Odisha State Road Transport Corporation (OSRTC).